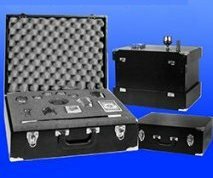 295.00 This combination case and performance platform is ideal for both the performance and the transport of briefcase-sized magic props. 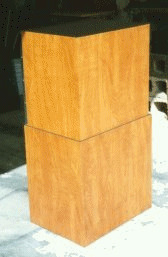 Wall panels hinge in place to give a rear entry cubical so that props can be concealed during a performance. The cubical also provides a place for the magician to retrieve items. 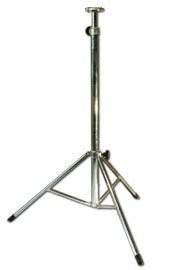 This is an excellent performance platform for the trade show magician working exhibition booths. The Case Table is a quality prop that is finished with Formica type plastic laminate to resist scratches and provide durablity. Quality through and through, and custom built by the exacting standards of Chadwick Illusion Fabrications. Please note that free shipping does not apply to this item. 295.00 This is a first class close-up case and performance platform that is perfect for the working performer. The case is beautifully made with high quality luan. Release the latch and the lid opens up to a spacious compartment large enough for cups and balls and other apparatus. Pull out the bottom drawer to organize card decks, packet tricks, and so forth. The drawer has room for several decks of cards, and there is additional room in the drawer beyond the cards (not pictured). The case measures 12 x 16 x 6 inches. 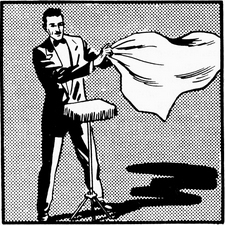 The magician simply sets the case on a table and he is ready to perform. Beautifully made and highly recommended. 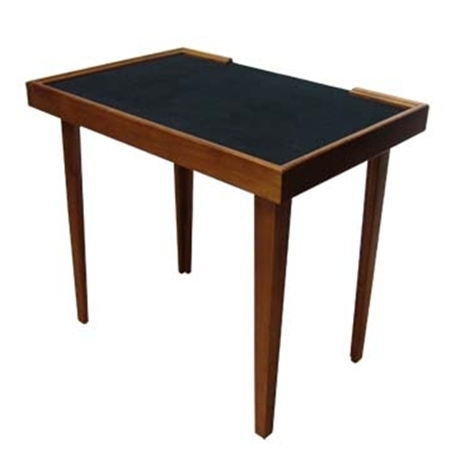 95.00 The Eureka Table has been a standard fixture for magicians for a long time. We are proud to offer our version of the base that comes complete with a screw type flange. The table is ready for your homemade table top or screw the flange to the bottom of your piece of magic apparatus. Can raise to 52" tall, although we doubt that you will ever need to use it that tall. 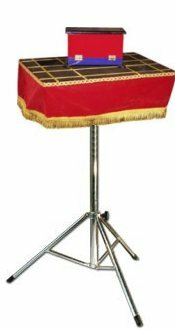 195.00 This wooden tabletop is covered with black felt, trimmed with gold ribbon and fringe, and has a beautiful red velveteen skirt. The top has one hidden "black art" well that enables a performer to vanish objects, produce them, and allow him to secretly ditch or drop items from his hand and out of sight as he picks up his wand or other apparatus. A well is also an excellent way to load a top hat, basket, or other receptacle. 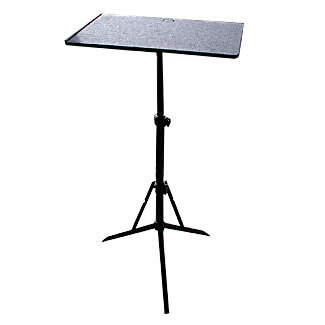 The top measures about 14 x 18 inches and comes complete with collapsible tripod Eureka Table Base. Everything packs relatively flat for transport. The table top is made by Chadwick Illusion Fabrications. Customization of this prop including color, positioning and number of wells, etc, is available upon request! 150.00 This table has a felt covered top that gives it a softer look for thinks like card work, cups and balls, and so forth. The table top measures about 14" x 16" and generally comes with red felt. Other table top sizes and felt colors are available upon request. Comes complete with a Eureka Table Base. 125.00 This unique side table features silk screened colors, packs flat, and is about 30 inches tall with a 19 x 16 inch table top. Truly a beautiful piece, especially for kid shows. Only one available. 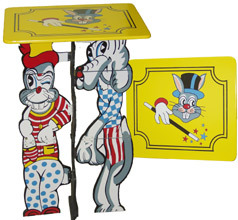 195.00 This is no doubt the finest folding tripod style table that has ever been available to the magic fraternity. High-tech materials provide a stable platform that is free from wobbling or vibration. The non-skid 11" x 13" tray-top connects instantly and securely to the fully adjustable tripod. It is made from the finest black anodized aircraft-quality aluminum and composites. The table adjusts from 19" to 41" high and sets up in seconds. Folds to a mere 2" x 18-1/2", comes complete with a carrying bag, and weighs only 26 ounces. Not that we pay shipping for this item! Highly recommended. 750.00 This is a neat table design. The upper cabinet of the table is designed to fit inside the lower cabinet for transport. To set-up, reverse the procedure by pulling the upper cabinet out of the back of the lower cabinet, and then set it on top of the lower cabinet. 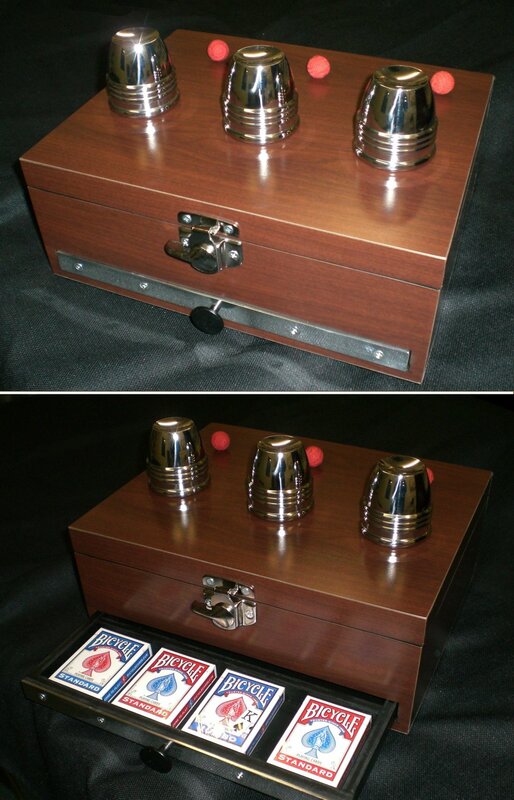 The panel displayed loose in the picture slides down the aluminum trim slots on back of the upper cabinet so that magic items can easily be transported in the table. Additional free-wheeling castors and side handles are available at no extra charge. The picture here is of a wood-grained laminate design. Any array of colors and Formica designs can be chosen since each table is custom built for customers by Chadwick Illusion Fabrications. Note that due to size and weight, this item does not qualify for free shipping.